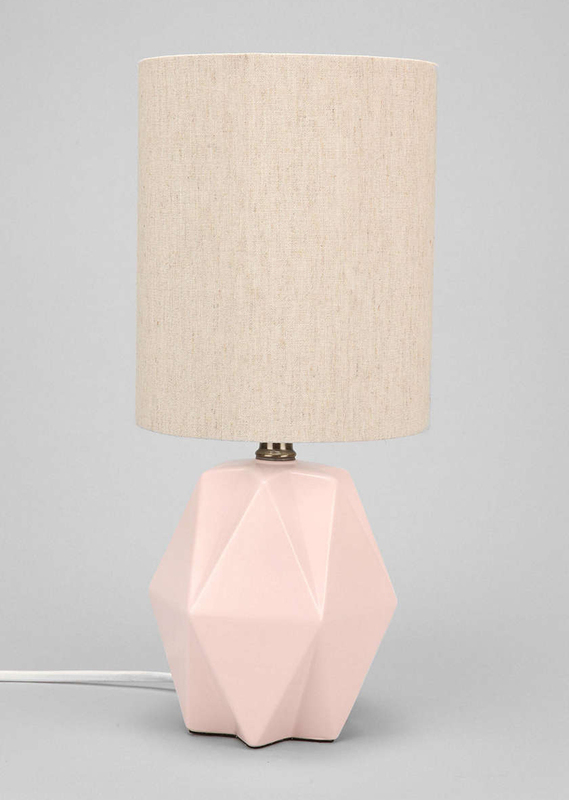 This ceramic Faceted Pastel Pink Table Lamp is topped off with a classic cotton shade. $89. Free shipping. Buy here.